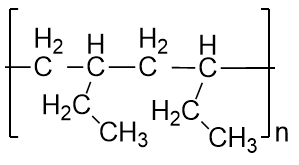 Simple polymers are named after their monomers; the ethylene polymer is formally called poly(ethylene), although in common use, the names are used without parentheses: polyethylene. Because adding one monomer to another forms this polymer, polyethylene is an example of a type of polymer called addition polymers. Table 16.4 “Some Monomers and Their Addition Polymers” lists some monomers and their addition polymers. 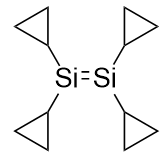 Silicones are used to make oils and lubricants. They are also used as sealants for glass objects (such as aquariums) and films for waterproofing objects. Solid silicones are heat resistant and rubbery and are used to make cookware and electrical insulation. 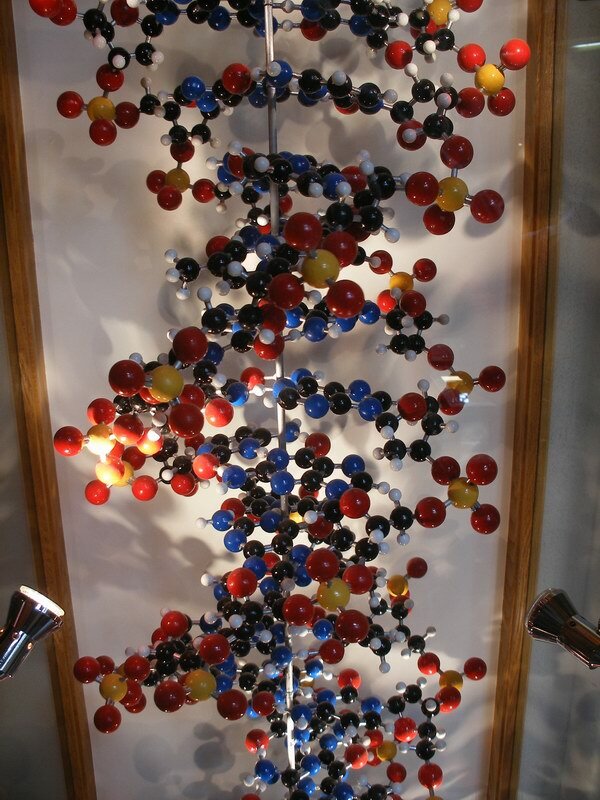 Deoxyribonucleic acid (DNA) and ribonucleic acid (RNA) are also polymers, composed of long, three-part chains consisting of phosphate groups, sugars with five C atoms (ribose or deoxyribose), and N-containing rings referred to as bases. Each combination of the three parts is called a nucleotide; DNA and RNA are essentially polymers of nucleotides that have rather complicated but intriguing structures (Figure 16.6 “Nucleotides”). DNA is the fundamental material in chromosomes and is directly responsible for heredity, while RNA is an essential substance in protein synthesis. 1. A polymer is many monomers bonded together. 5. In an addition polymer, no small molecule is given off as a product, whereas in a condensation polymer, small parts of each monomer come off as a small molecule. 11. 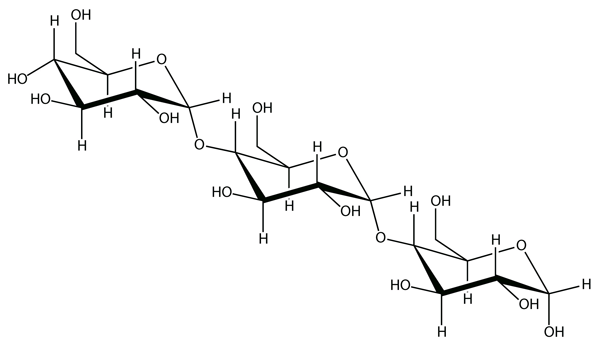 Starch is composed of many glucose monomer units. 13. Proteins are polymers of amino acids, which act as the monomers. Polymers by David W. Ball and Jessie A. Key is licensed under a Creative Commons Attribution-NonCommercial-ShareAlike 4.0 International License, except where otherwise noted.